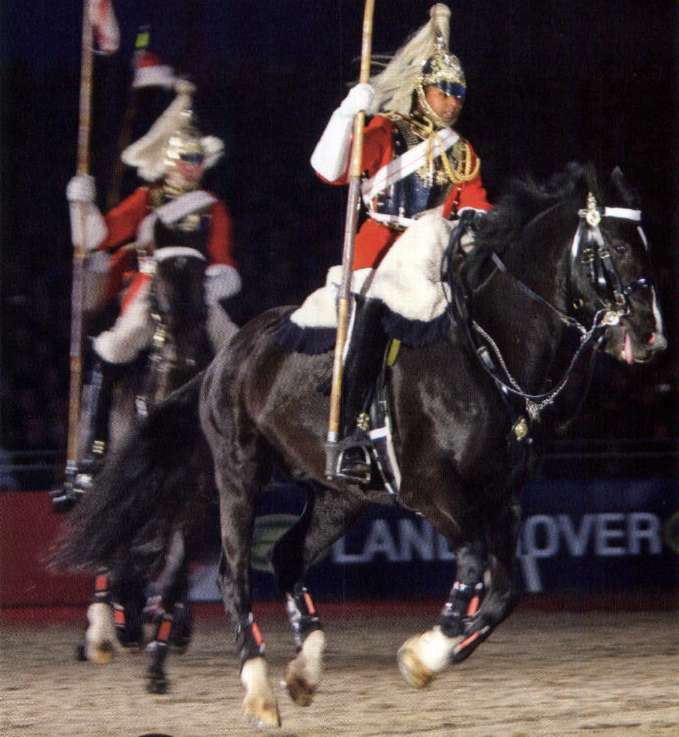 The Musical Ride has been a major part of the public face of The Household Cavalry for many years. Originally called the Quadrille, it has performed at agricultural and military shows and tattoos since the 1880s. These included the annual Royal Tournament, where it was a firm favourite from 1882 until the tournament's last bow in 1999. 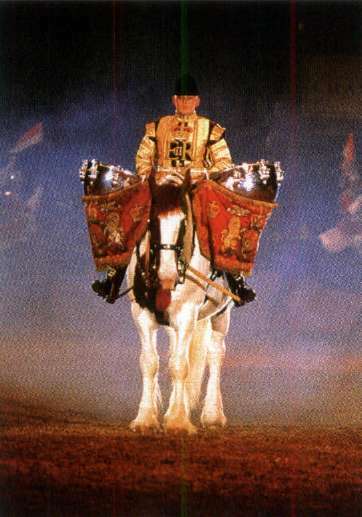 The display is traditionally accompanied by musicians from the mounted bands, usually a kettle drummer on a drum horse and two or four trumpeters on grey horses. The ride demonstrates skills required by cavalry in war, its format being based on a series of complicated mounted drill movements at the trot, canter and gallop, set to music. A highlight of the display is when four horses lie down on the ground while the others manoeuvre around them. An officer of the rank of captain commands and manages the Ride while the selection and training of men and horses is in the hands of the Riding Master. The Ride starts in March when the soldiers selected to take part begin training. They are chosen for their ability to ride, and the horses for their temperament and athleticism. It is not unusual for a very young trooper to join the Ride even though he may only have ridden for a matter of months. The rigorous training concentrates on getting the complex, precision movements absolutely right and takes three months before public performances begin in May. The Ride returns to London between shows for the soldiers to take their normal part on State occasions. 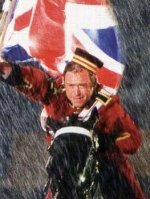 As well as many performances in the UK at county shows, the Horse of the Year Show or Windsor Castle Royal Tattoo, the Ride has performed all over the world - in Oslo, Zurich, Vienna, Stuttgart and Munich and even on the frozen lake at St Moritz. 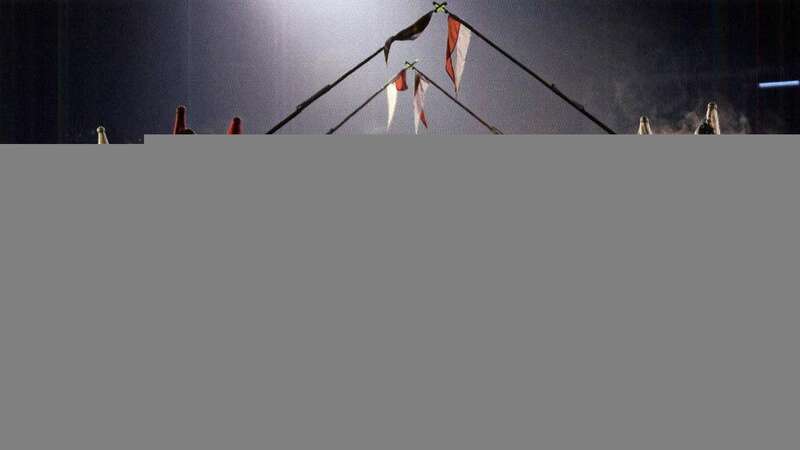 Most recently it performed for the first time outside Europe in Abu Dhabi in the United Arab Emirates.